with a range of packages including Lightwave 3D and Paint Shop Pro. 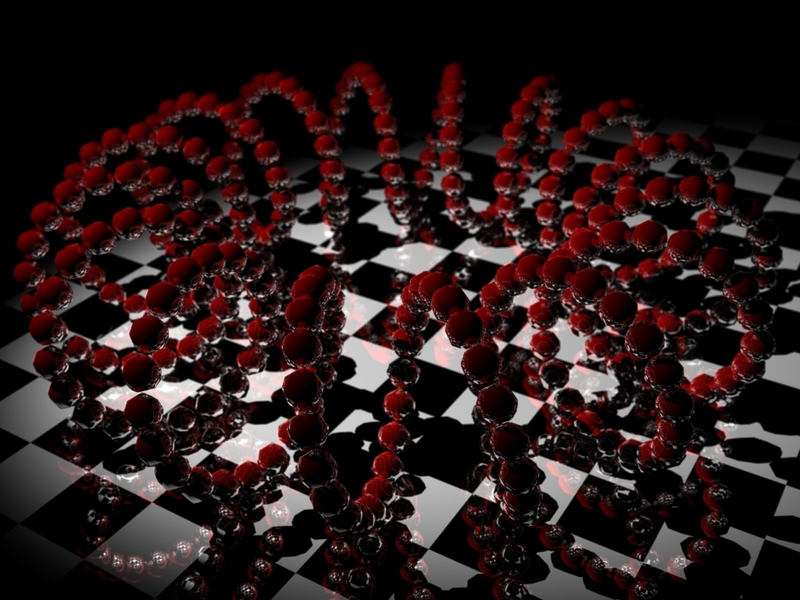 This abstract image was constructed with a mix of complex algorithmic scripting and simple layout effects. 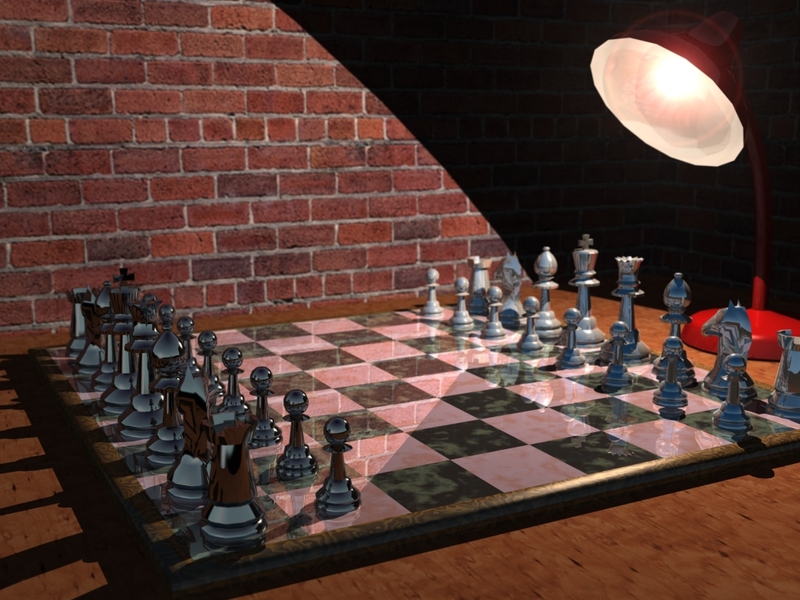 Made using some of the more rudimentary features of the 3D package, this image demonstrates how good use of lighting, depth of field and reflection can be put to effective use. This image is a still from a short film I`m working on. 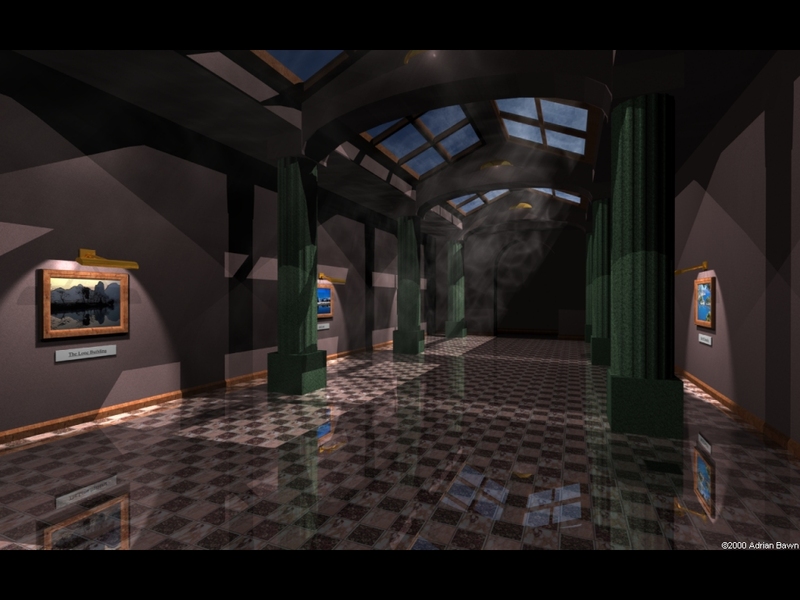 It is a Gallery in an Art Museum and makes use of features such as Volumetric Lighting, Reflection and Bump Mapping.